Based on the life-long work of John C. Kelleher, Sr., M.D. 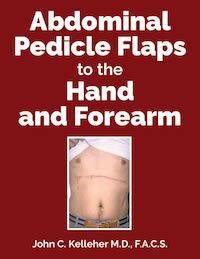 and originally published by Interplast in 2004, "Abdominal Pedicle Flaps To The Hand & Forearm" benefits from a huge number of full-color photographs and years of expertise in reconstructive flap surgery. Dr. Kelleher's hope was that this material would be available worldwide and of help to surgeons dealing with difficult soft tissue coverage problems of the upper extremity. Thanks to both John C. Kelleher, Jr., M.D. for extensive editing and additions and Interplast for working alongside Global HELP in reproducing this book for future posterity.